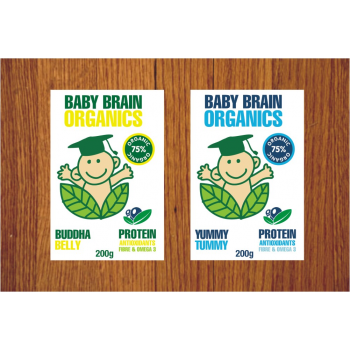 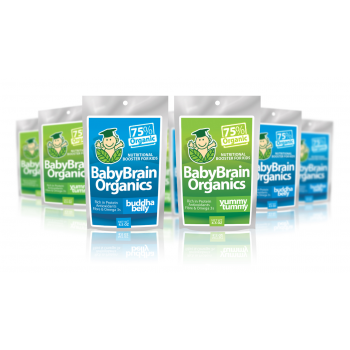 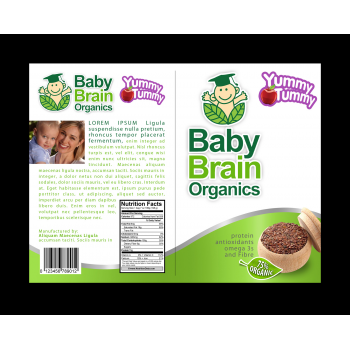 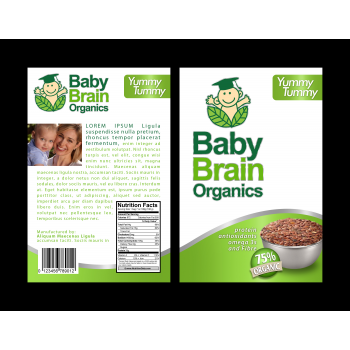 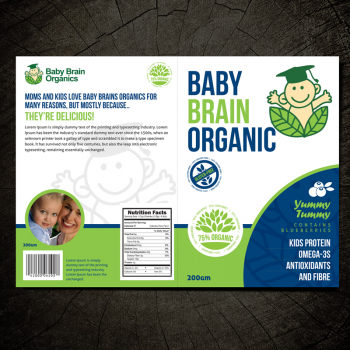 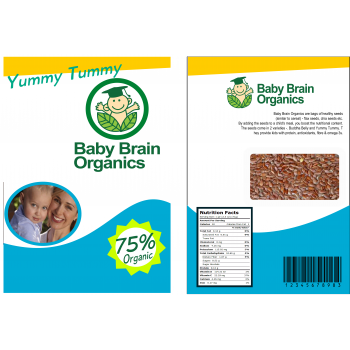 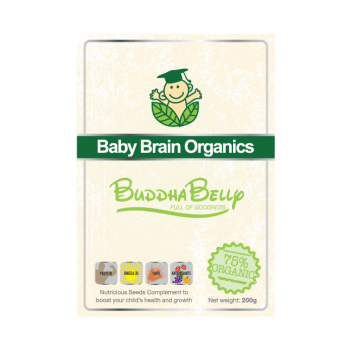 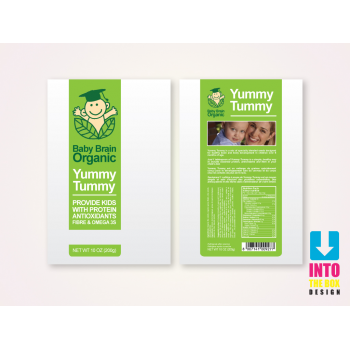 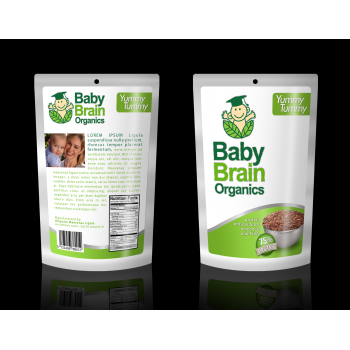 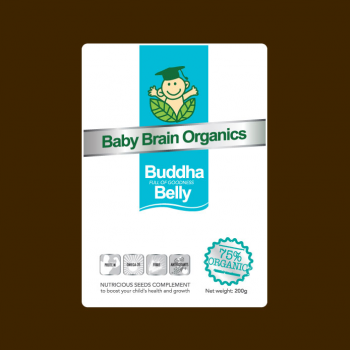 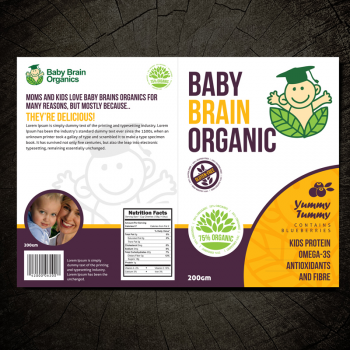 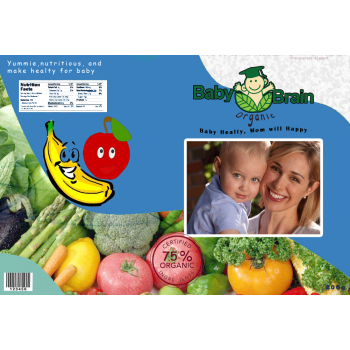 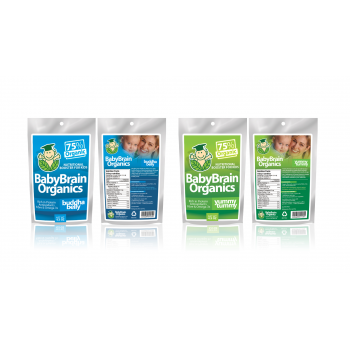 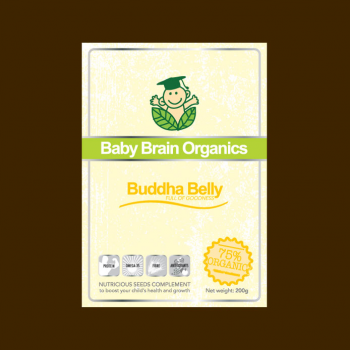 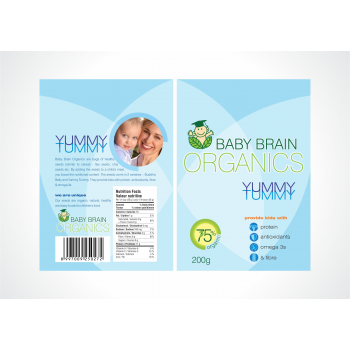 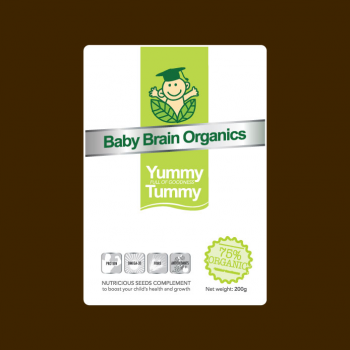 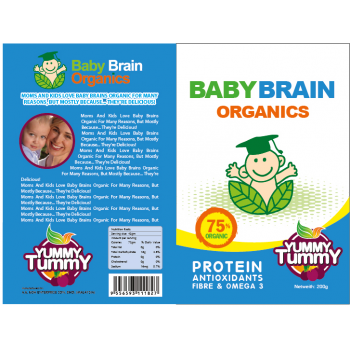 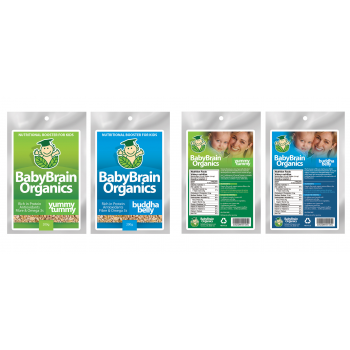 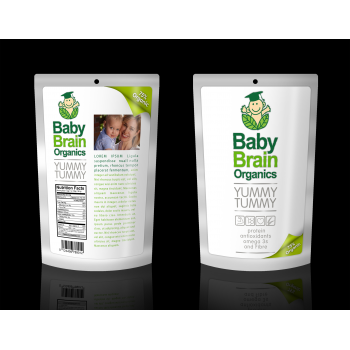 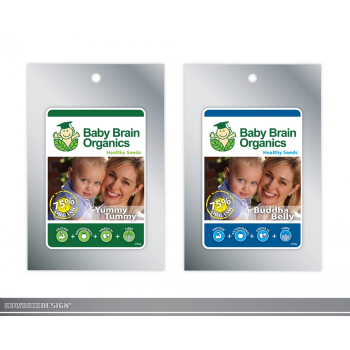 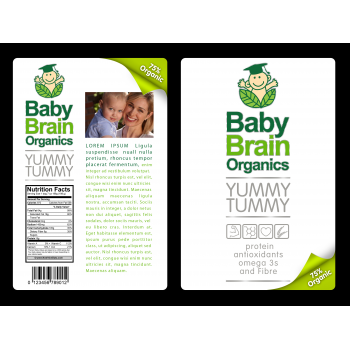 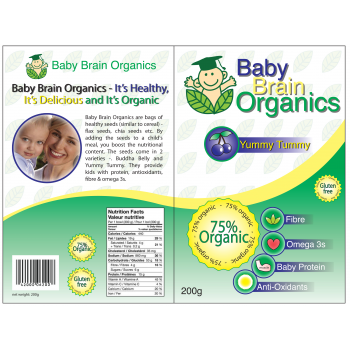 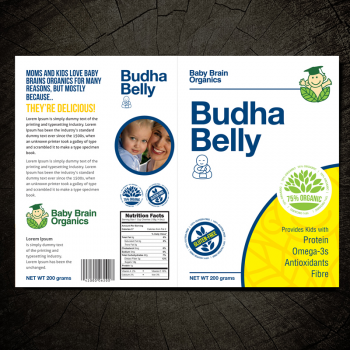 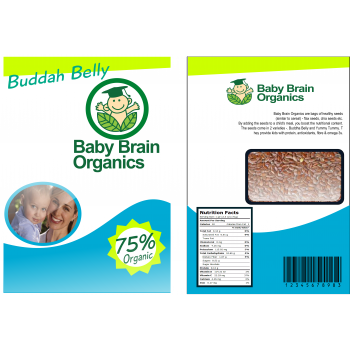 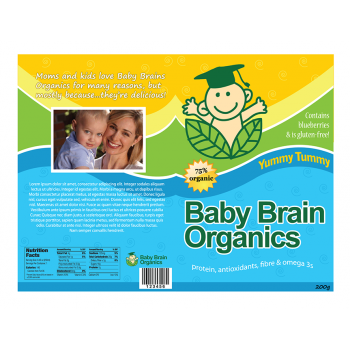 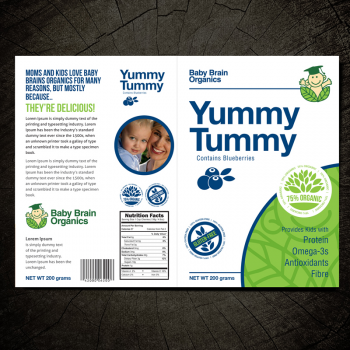 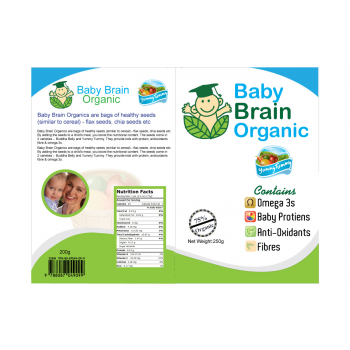 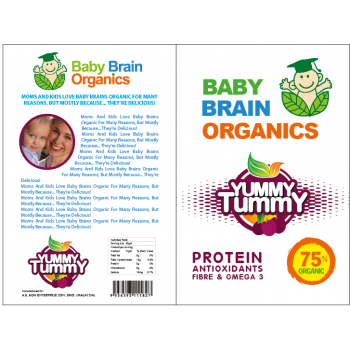 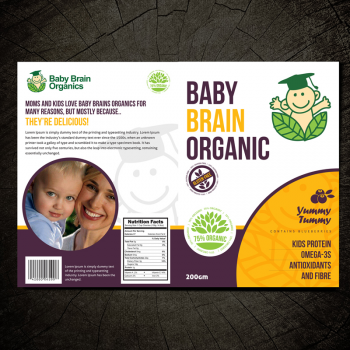 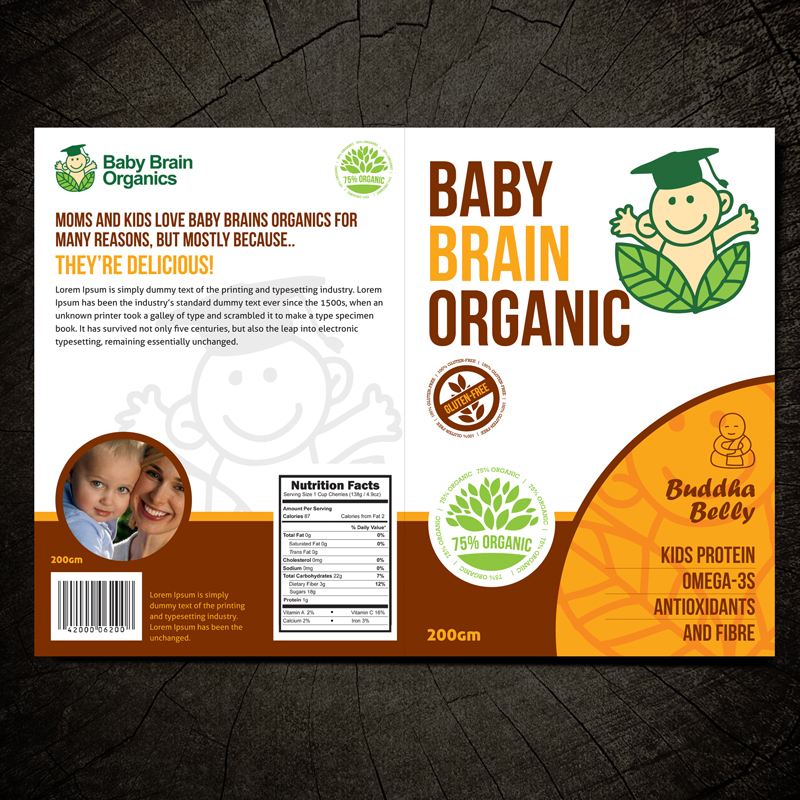 Baby Brain Organics are bags of healthy seeds (similar to cereal) - flax seeds, chia seeds etc. 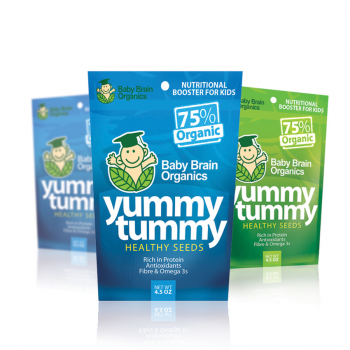 By adding the seeds to a child's meal, you boost the nutritional content. 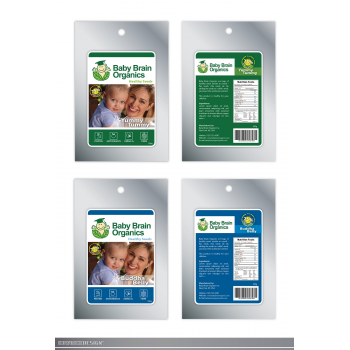 The seeds come in 2 varieties -. 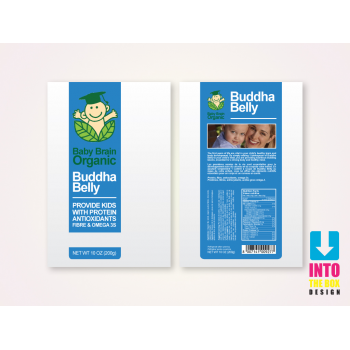 Buddha Belly and Yummy Tummy. 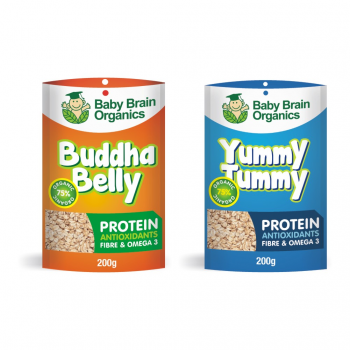 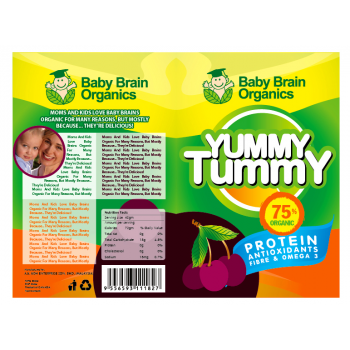 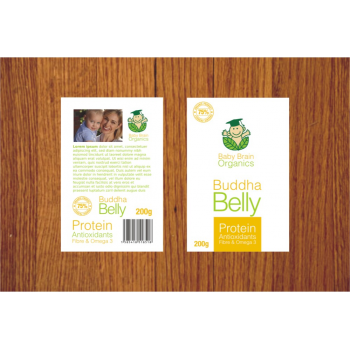 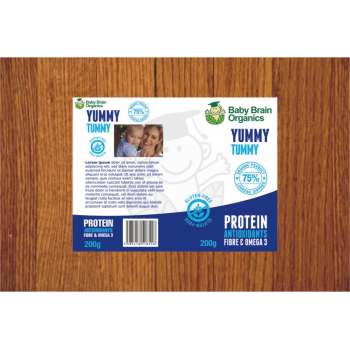 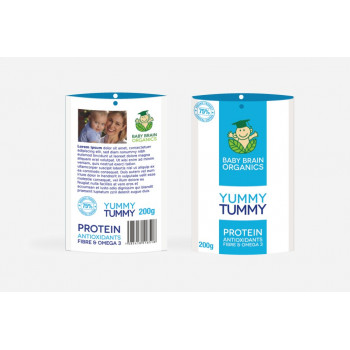 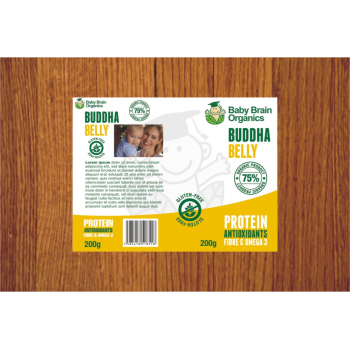 They provide kids with protein, antioxidants, fibre & omega 3s. Our seeds are organic, natural, healthy and easy to add to children's food. 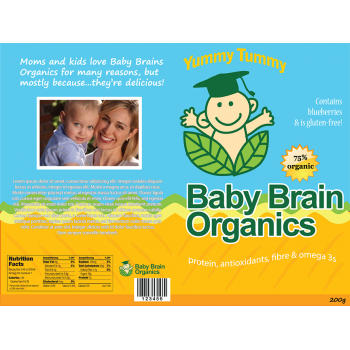 The target audience is affluent, health-conscious mothers of babies or young children. 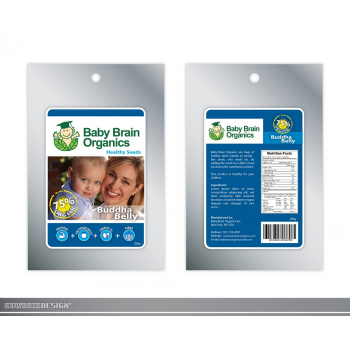 This brand's packaging is appealing to our customers. 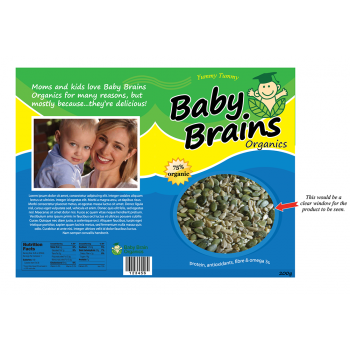 This product is healthy for your children. 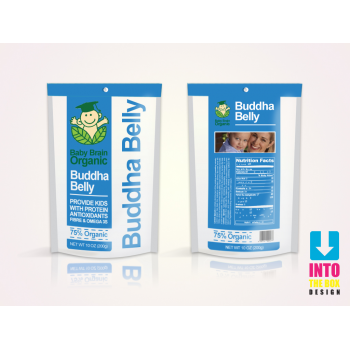 I completely understand what your product is and that BBO makes nutrition for my child simple and easy. 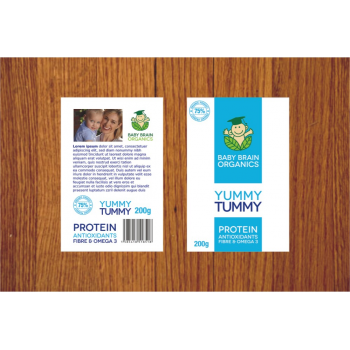 A small circular "stamp" that reads "75% organic". 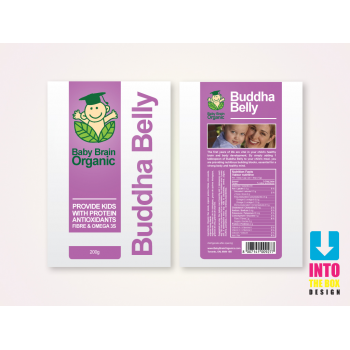 Market research says the colours should be fresh and clean. 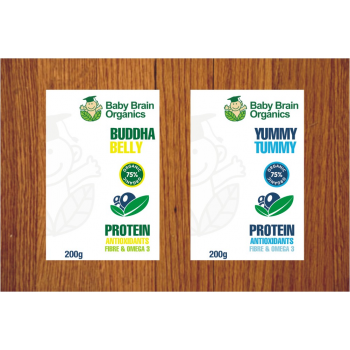 Blues, greens and yellows are good, although we are open to suggestions by the designers. 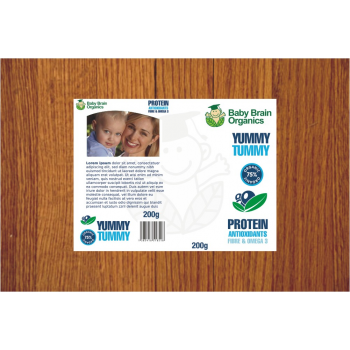 Attached are the logo and a picture which should be a thumbnail on the back of the package. 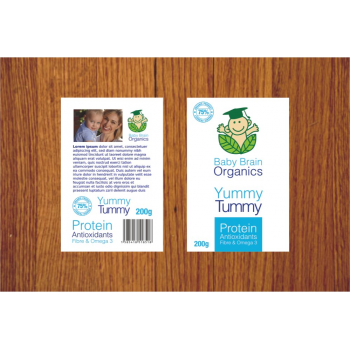 Please include a nutritional panel on the back. 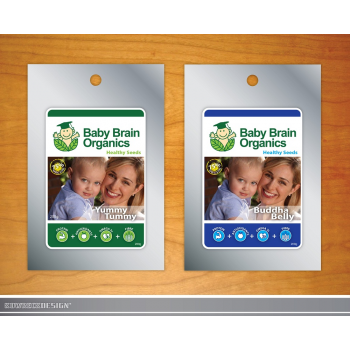 We have the values, if required.